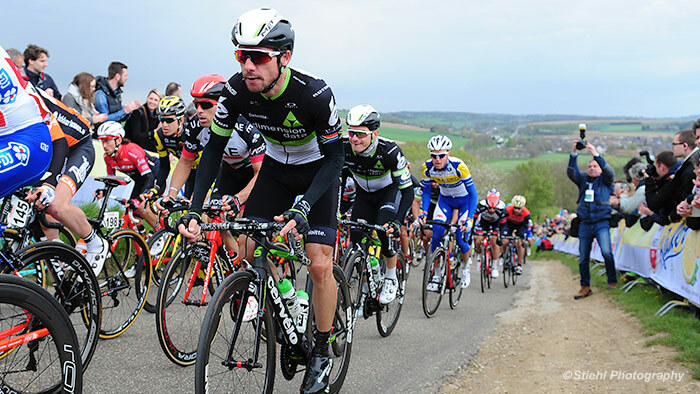 During the third week of April Jacques Janse van Rensburg (JJvr) from Team Dimension Data for Qhubeka raced the Ardennes Classics; Amstel Gold (AG), La Flèche Wallonne (LFL) and Liège–Bastogne- Liège (LBL). Jacques provided excellent in-race support to the team’s designated lead riders and also achieved personal best career results (48th, 58th, 41st respectively). The Ardennes Classics are hilly, one-day UCI World Tour races raced over an eight day period in April. They are extremely demanding, as is reflected by Jacques summary data in Table 1. The TSS scores and work scores for the 2017 editions of AG and LBL (444 and 439 respectively), are amongst the highest race day scores that Jacques has on record. While the overall race summary data is impressive, the work done in the last hour of racing highlights the effort required for a winning performance. In the final hour of all three races there is a difference of approximately 60W between Jacques’ average and Normalized Power. This difference highlights the fluctuations in intensity (accelerations) as the peloton fights for position in the race to the finish line. You can see Jacques’ file from LBL here or by clicking on the image below. His data was measured by a Rotor2IN power meter and recorded on a Garmin Edge 820. An analysis of the final 1:30hr/63 km of LBL highlights the intensity at which the riders worked over the final six climbs as is detailed in Table 3 and Fig 1. The racing became progressively harder as the domestiques worked to drain the last remaining energy from their competitors’ legs while providing cover for their team’s protected rider. These types of analysis are performed regularly by our team coaches. The data helps to direct the rider’s specific preparation and training and as well as their in-race effort and energy management.